Awesome location! Close to I-275 CV Hills Town center & on the Blessed Sacrament & St. Pius bus routes! Beautiful 4 bedroom, 3.5 bath 2 story! Huge flat corner lot. Newer kitchen, windows and master bath. 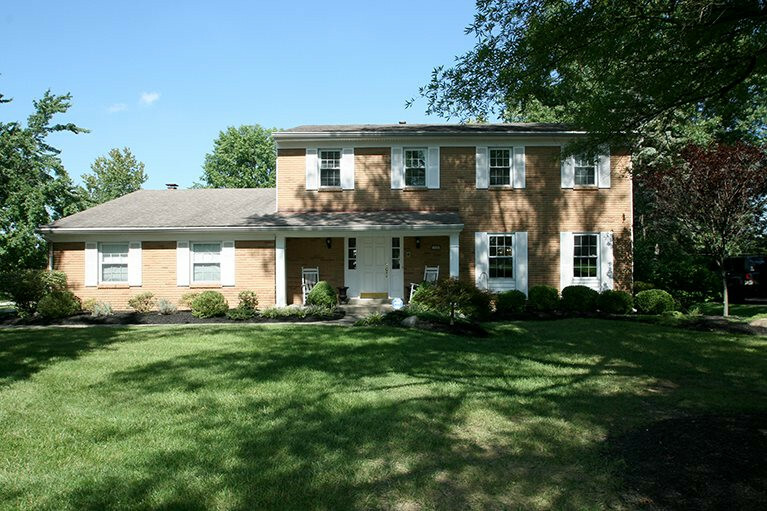 Large family room that opens to the kitchen W/ beamed ceilings, large windows & WBFP. Finished LL W/ wet bar, full bath & craft room, could also be used as a guest suite w/ an en suite bath. Great outdoor spaces! Covered front porch, large entertaining area, & a rear patio. Closet organizers in all closets, alarm system & invisible fence!